Going from concept to a working demo can often be expensive and time consuming when developing hardware based solutions. One strategy to help mitigate costs while speeding time to market is to use pre-built modules and validated software applications. 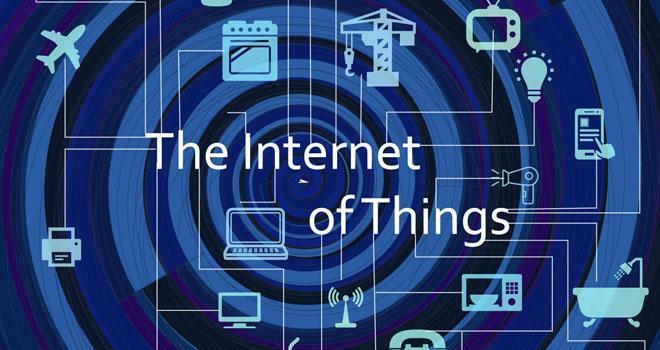 Start-ups, and established companies, creating products for the Internet of Things (IoT) market have a number of new options to choose from in selecting a platform from which to customize their products. Sensors – gathering data is crucial to IoT applications. There can be a wide range of inputs related to movement (vibration, orientation, acceleration), environment (temperature, humidity, pH, pressure, sunlight, radiation), controls (rotational speed, load, torque, proximity) and hundreds of others (sound levels, cellular/wi-fi signal strengths, machine vision color, voltage, current, etc.). Many sensors also come with their own embedded signal conditioning or conversion circuity (e.g., heat from a temperature sensor is converted to an analog electrical current or a 16-bit digital output). Others may need additional post-processing. Processing – many systems will “do something” locally with the information from sensors (other IoT devices merely pass the information on to be managed further on). Local processing can take the form of DSPs (Digital Signal Processors), Micro-controllers, FPGAs (Field Programmable Gate Arrays), ASICs (Application Specific Integrated Circuits) or another form of computational power. Everyday applications with local processing include motion sensors in rooms to turn on / off lighting, motion sensors in fitness trackers to record steps (and let us know when we haven’t moved at all) and temperature sensor in the coffee maker to turn it off before the brew burns. Nearly all of this processing includes some form of memory in addition to the computing elements. Power – all electronics need power of some sort in order to function. Devices are either wired into a dedicated power source or self-contained in the unit. The power can be independently supplied by a battery or generated by through solar, heat or vibration. In many products, it’s a combination of all of the above. There is also some type of power conditioning to provide a constant, regulated, consistent power at the appropriate required level for the circuity. Communications – what makes the “Internet” part of the IoT is the communications, otherwise it’s just a thing. Many “things” serve us well without ever having to communicate to the world- a smoke / carbon monoxide detector is just one example of a not-connected-to-the-internet thing that is a literal lifesaver. However, adding communications, and bringing the smoke detector to IoT capabilities exponentially increases it’s value (alert the fire department to save property and lives). Depending on the application, there are many communication modes available – POTS (plain old telephone service),Cellular, SMS/Texting, WiFi, BlueTooth, Zigbee, and dozens of other standards along with custom data transfer modes. As an aside, documentation is sometimes nearly as important as the product. Ferry Vermeulen at Instrktiv has some excellent templates you can use; Amazon also has an excellent free Kindle Unlimited guide (paper back is $25) Technical Writing Process: The simple, five-step guide that anyone can use to create technical documents such as user guides, manuals, and procedures . It’s possible to start with selecting each component to make a custom solution for exactly what is required for a specific product or application.Many designers develop products this way. However, to be successful in with a custom approach, it’s key to have a lot of experience in the particular niche, a deep understanding of the technology and a very specific product specification. The alternative approach is to start with one or more modules encompassing all the possible product features and combining them to create a minimum viable product. In some cases, it’s entirely possible to simply incorporate the existing module, without any hardware modifications, into the production product. The per unit component cost may be slightly higher, but the cost savings in R&D, debugging, testing, certifications and manufacturing can often make using a module the preferred production method. A module will have all four elements listed above – Sensor, Processing, Power and Communications. A designer picks the features needed for the product requirements and can get starting developing immediately. Another key component to most IoT applications is the user interface or method to show the data from the device in an easy to understand and use format. Many communications will go to a cloud based host to capture, store and process the information from the device. In the short video below from Avnet, an example for a person who has fallen is provided to illustrate the user interface. Avnet, a leading global electronics distributor and solutions provider, is leveraging their suppliers expertise and product offerings to create an development eco-system for IoT products. Avnet Embedded EMEA has partnered with Microsoft Azure and 3rd party ISVs to provide complete hardware and software solutions in the IoT space. As mentioned above, this short video gives a simple overview of some use case scenarios and an overview of a simple user interface to monitor data from the IoT device. The Intel ComputeCard is a credit card sized module with integrated WiFi / Bluetooth, Flash Memory and USB connections along side an Intel Processor with can run a full Windows or Linux OS. The NXP IoT Gateway Reference Design which combines standards-based, open source software together with a feature-rich IoT gateway design, to establish a common, open framework for secure IoT service delivery and management. The Avnet MicroZed Industrial IoT Starter Kit with Zynq®-7000 All Programmable SoC from Xilinx. The Zynq-7000 FPGAs have ARM Cortex-A9 processors integrated with programmable logic elements for full custom development (up to 6.6M logic cells).Multiple communications standards are supporte with transceiver data rates up to 12.5Gb/s.